Drive Life have driven quite a few Kias over the years but this was my first, so I was intrigued to see what they could do. The Niro comes in 3 flavours; a 1.6-litre EX Hybrid, a 1.6-litre LTD Hybrid and a 1.6-litre LTD Plug-in Hybrid (PHEV). As you can see they all share the same petrol engine that will produce 104kW and 317Nm of torque combined with the electric engine. 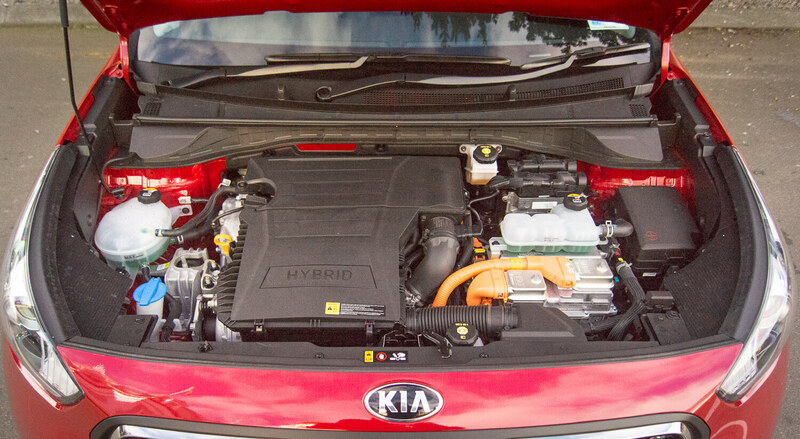 The electric engine in all of these is a permanent magnet synchronous motor which puts out 44.5kW and 170Nm of torque on its own for the PHEV model, whereas the two hybrids only get 32kW. The 1.6-litre EX Hybrid starts at $39,990 and is the base model. For base model however you do get a lot of kit for your money. As standard you get rear parking sensors, lane keep assist, hill start assist, reversing camera with dynamic guidelines, electronically adjustable and folding side mirrors, auto bi-function projection headlights, daytime running lights, leather steering wheel, cruise control, 16” alloy wheels, cloth seats, tyre pressure monitor, climate control with auto temperature control, 7” touchscreen with radio, MP3 and 6 speakers, Bluetooth with voice recognition, Apple CarPlay, Android Auto, smart cruise control and a 3.5” LCD display in the instrument cluster. The LTD Hybrid is $43,990 but does not change a huge amount from the EX version. It has 18” alloy wheels, front and rear parking sensors, lane change assist, blind spot detection, auto dimming rear view mirror, leather seats, heated front seats, rain sensing wipers, aluminium pedals, tinted rear windows, and smart proximity key with push-button start. Onto the 1.6-litre LTD PHEV which is $55,990 and it has almost a mix of the two hybrid cars’ features and some of its own. First off it comes with a 8.9kWh Li-ion polymer battery and the type 2 “Mennekes” charger connection for the electric-only capabilities, and it can do 55 km in electric-only mode. 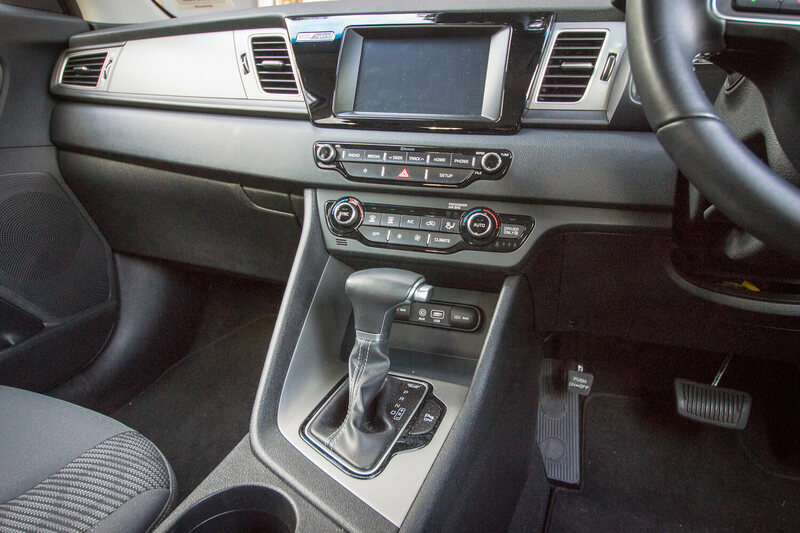 This one does come with most of the LTD features except that it has 16” alloy wheels and a 5” LCD touchscreen display with radio, MP3 and 6 speakers. 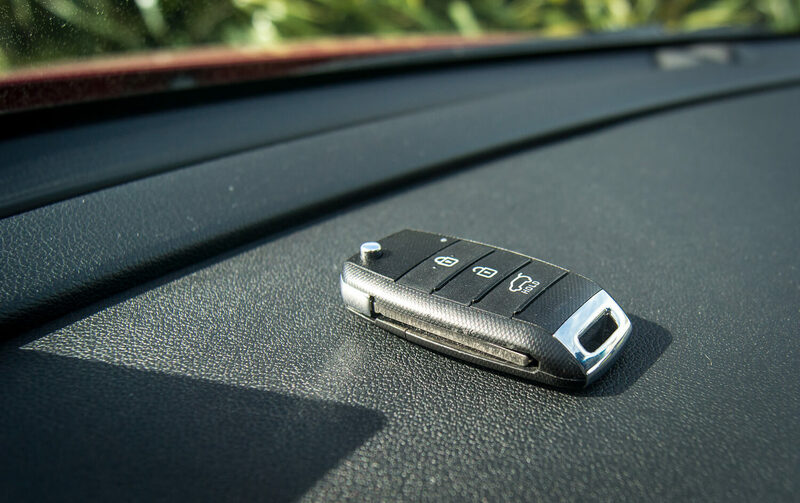 It also does not come with Apple CarPlay or Android Auto. An interesting feature to leave out. 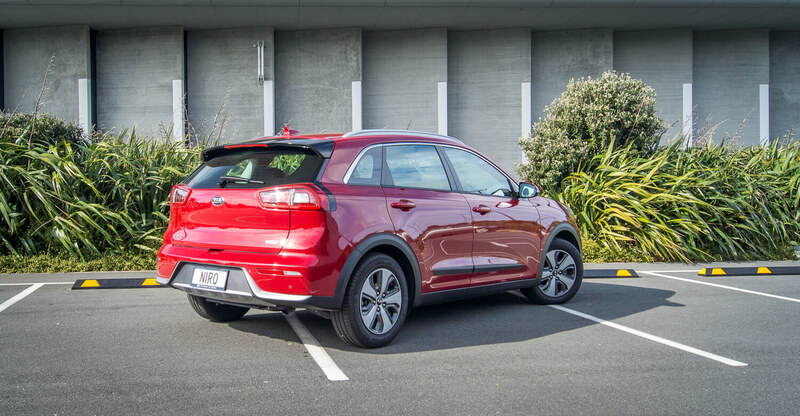 “Ooo, that’s a nice red” was literally the first thing I said when I saw our test car, the 1.6-litre EX Hybrid Kia Niro. Just a rich deep red, not trying to be Ferrari red but not so deep you’re at blood red. The next thing I thought to myself was it’s not as high as I thought it would have been for an SUV, even a compact one. I would say it was 3”- 4” higher than your average car, if that. 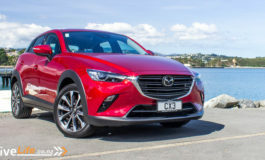 Moving on from that, the rest of the car is good looking, very stylish, with some angles but mostly rounded edges giving it a more approachable look. I am a real fan of the Kia grille, it’s fairly simple but gives a feel of elegance that usually might come from a more expensive car. Hopping in all I could think was, buttons buttons who’s got the buttons? There were so many buttons. There were 18 on the steering wheel alone, and I prefer to have a simple steering wheel. Then there were a further 22 in the centre console again it just looks a bit busy. I had to rein myself back in again and not jump to a conclusion of this, It may not be bad that there is so many buttons. I might actually need to use them. 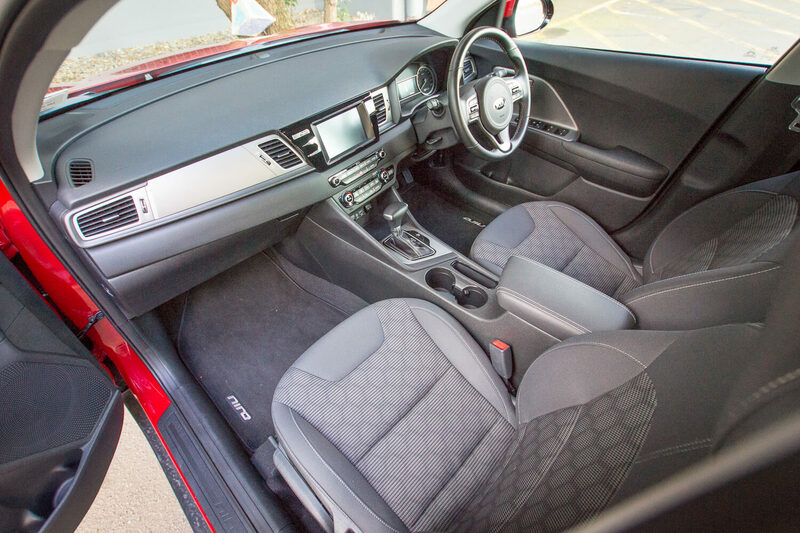 Once I got over the buttons, the interior is nice and spacious. But again I noticed that I did not seem to be seated any higher than a normal car. The seats themselves were comfortable with some side bolster for support in the corners. 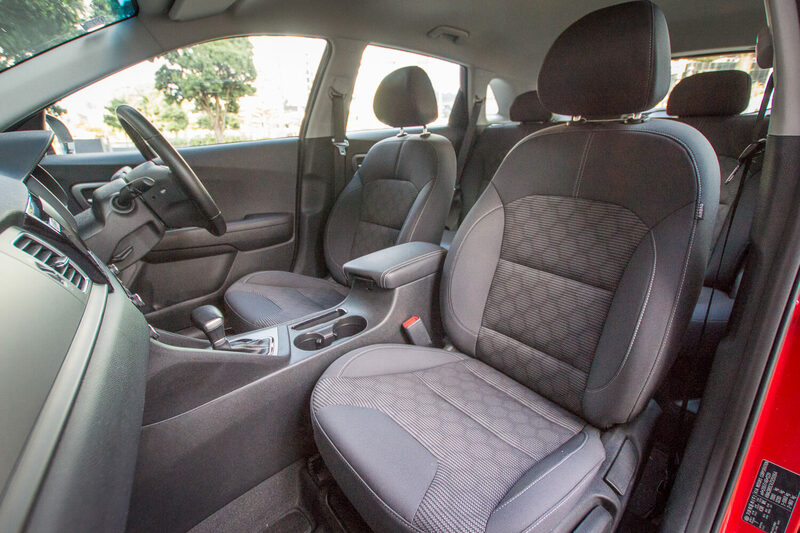 The seats are all cloth with only the armrest, steering wheel and shifter being in leather. 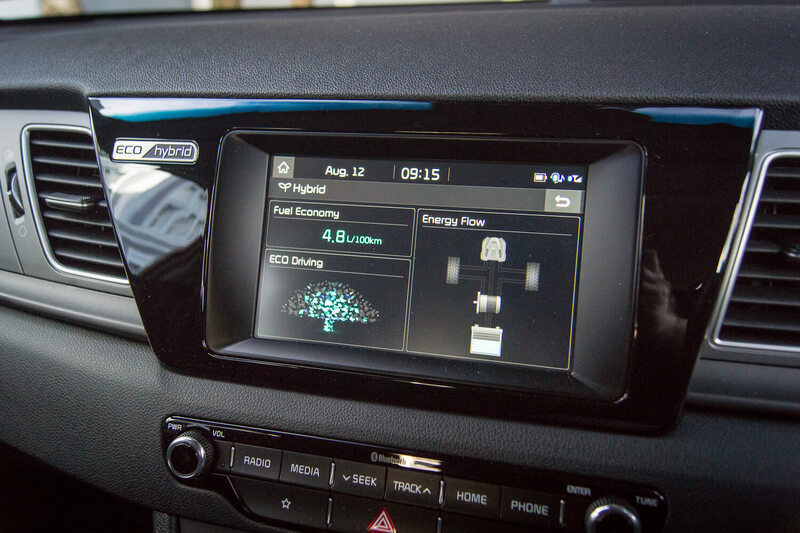 The driver’s instrument cluster is what is becoming the norm for hybrid vehicles, where the rev counter on the left has been replaced with an Econometer, showing you if you are recharging, being efficient or using too much power. In the centre of this dial were your remaining battery power and remaining fuel along with a distance to the next refuel estimate. This showed 800km when I first got in so I was intrigued to see how far I could get out of it. The centre of the instrument cluster had a 3.5” display for showing different kinds of driver info including speed, fuel economy, energy flow, attention level and driving style – more on that later. 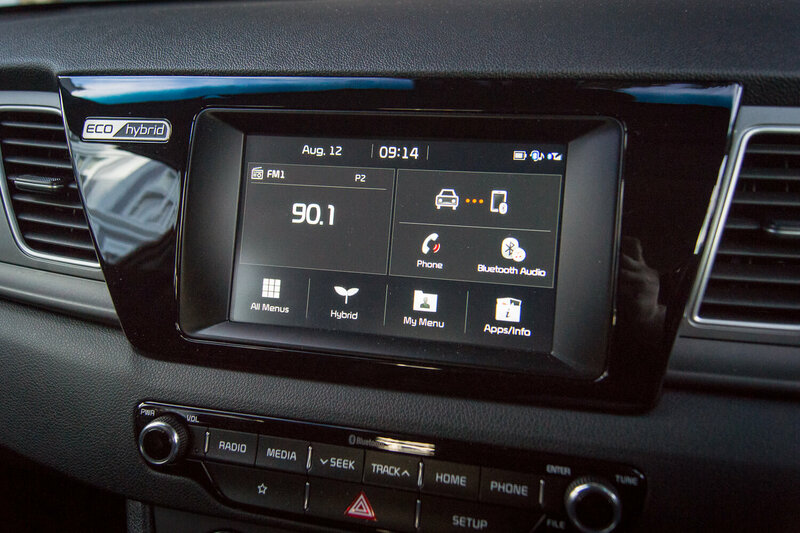 In the centre console where along with all the buttons you have for the radio, air con and menu navigation there is a 7” touchscreen for the car’s infotainment system. I did find this system fit for purpose and easy to use but it was also a little simple in some aspects. 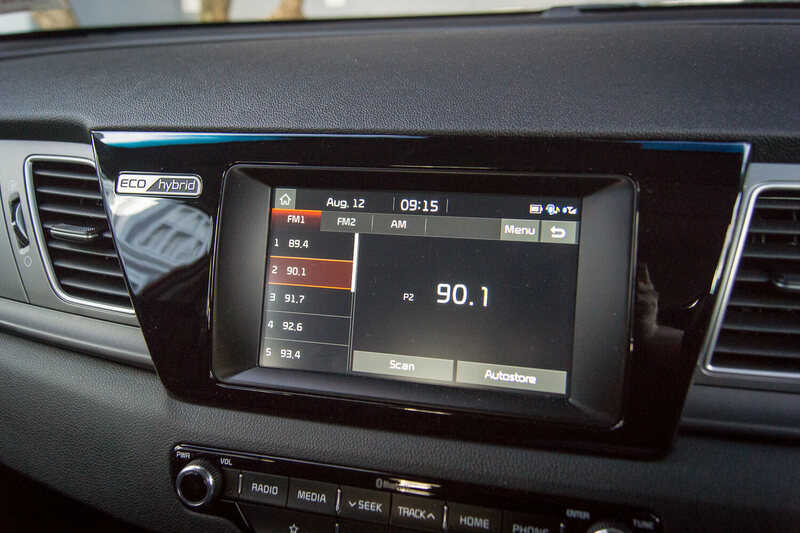 For example, when you loaded up the radio it did not show radio stations names, just the frequency. Then, on the other hand, it has a nice method for customising the menu to your needs as well as a nice display for showing hybrid mode. It would show you where you were getting energy, be it from the petrol engine or battery and would show you when you’re recharging too. It had a fuel economy reading and an Eco Driving score. This was in the shape of a tree and the better you were the more the tree grew. It was based more on your driving style overall not just in the moment or per trip. Jumping into the back I discovered there was not a lot of legroom for someone who is over 6 foot, but they have tried to grab some leg room back by having plastic moulding on the back of the front seats which had indents where your knees could go. This also helped the people seated up front from getting a knee in their back. It was fairly sparse in the back seats with just an armrest between the two passengers. Moving around to the boot which is alright in size coming in at 401 litres, I would have said one buggy would have filled it up but good for some shopping and smaller items. 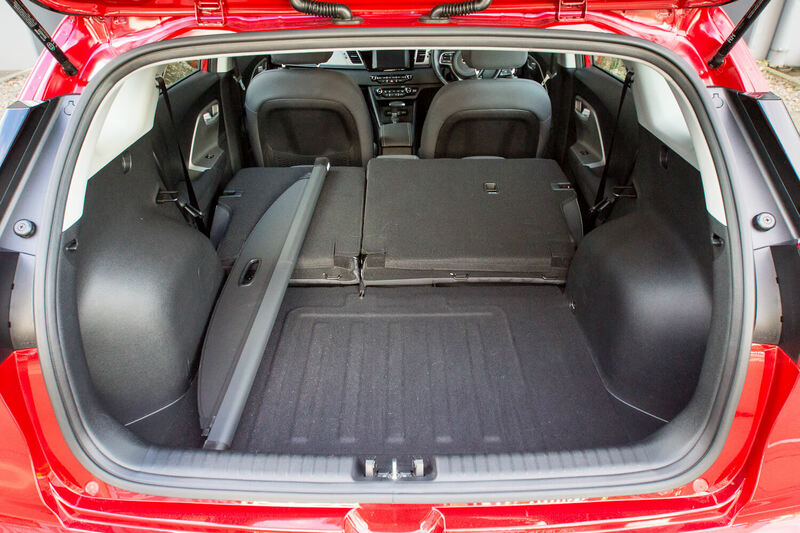 If you did have larger items you could fold 1 or both of the rear seats to get some more room. 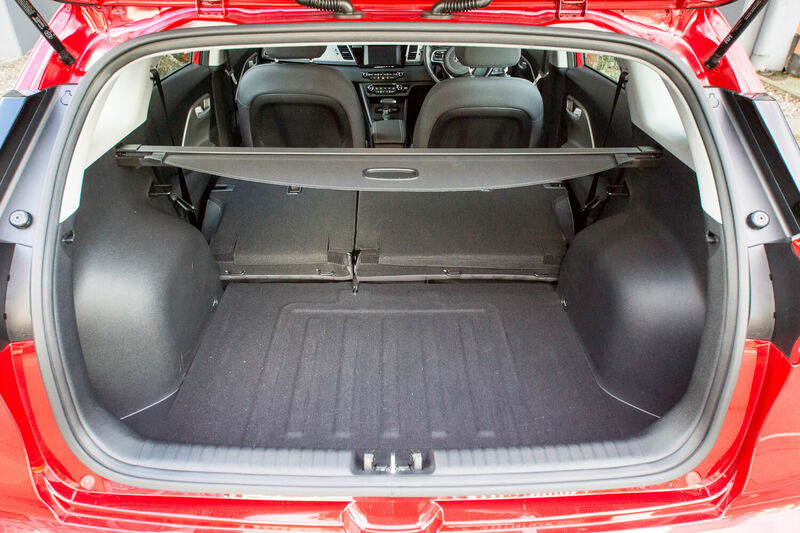 One downside to the boot, however, is the fairly big and in the way wheel arches. 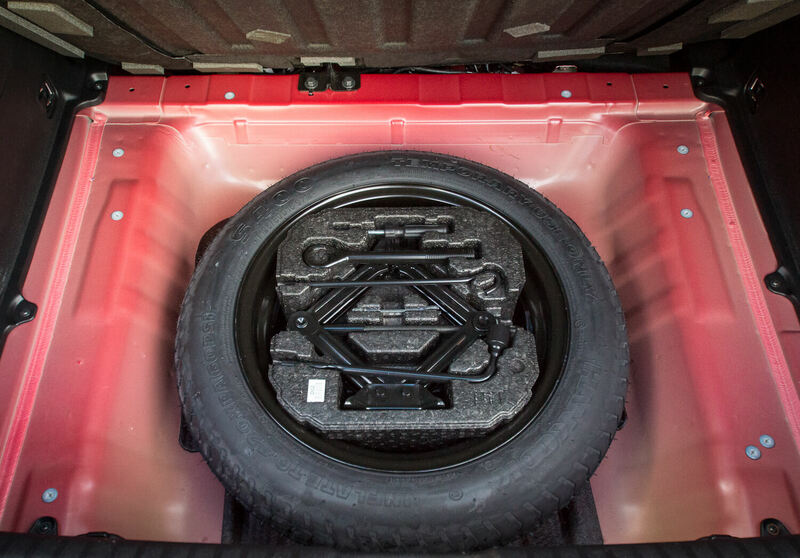 Under the boot floor, you could also find your spare space saver wheel and tools. Time to get on the road and as expected we pulled out silently, the hybrid engine getting us going but the petrol soon kicked in to get us up to speed. 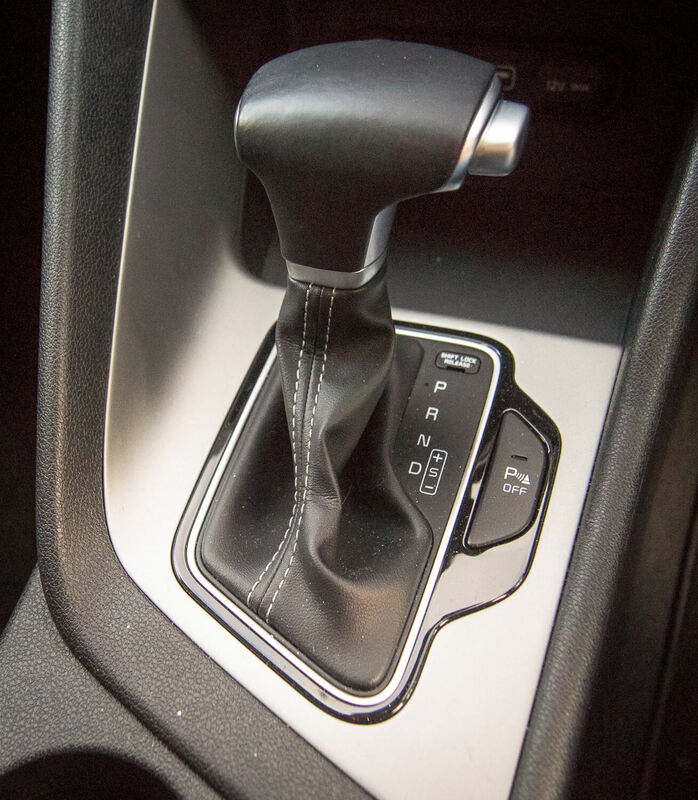 As with most hybrids, the electric engine is used for slow manoeuvring and maintaining speeds whereas the petrol is there to get you up to higher speeds. A big bugbear of mine is how well or smoothly a hybrid can transfer from electric to petrol. It should be seamless, with the driver not noticing therefore not interrupting how they drive. Unfortunately, with the Niro I did notice it. It was very noticeable at slow speeds like having just set off from traffic lights. I would accelerate and the electric engine would get me moving, but once the computer figured out I needed to go faster it would turn on the petrol engine which you would hear. Then I don’t know if the change from electric to petrol just happened at the point of a gear change or not but it would feel like an overly long gear change with the car even starting to slow a little. 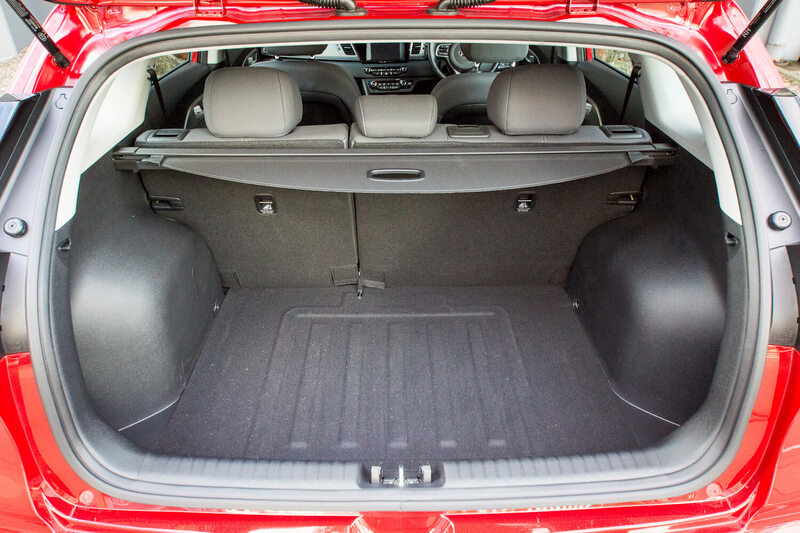 This must hard to get right but it has been done by both the Toyota Corolla Hybrid and the Volvo S90 twin engine that we have reviewed previously. On the flip side if you put the car into “S” or sport at the traffic lights and then accelerate in this mode you get a fun burst of acceleration from the electric engine. That feeling of just instant torque that a petrol engine cannot give is a little addictive but not very eco-friendly and would drain the battery fairly quickly. 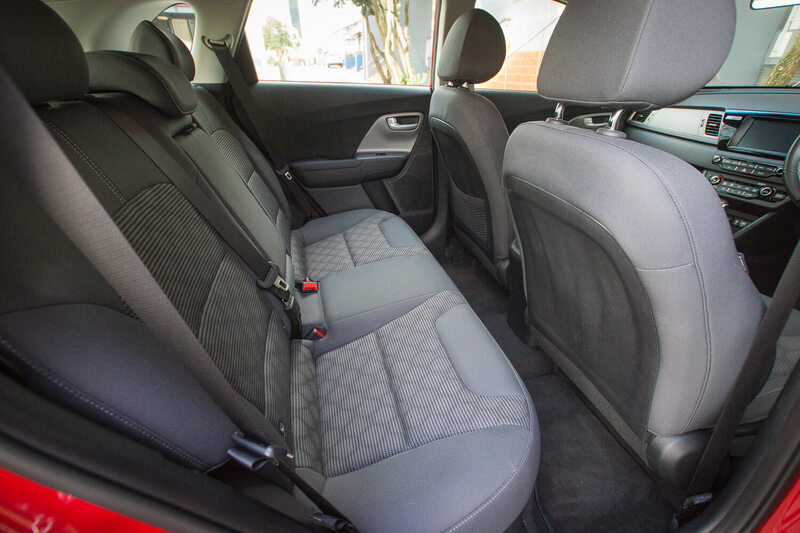 The ride itself in the Niro was very comfortable with the suspension taking out a lot of the bumps on the open roads and giving passengers a smooth ride. The problem that comes with a nice soft suspension unless it is adjustable is that when you start getting into a twisty road the car will not be able to keep the car flat and the body starts to roll in some cases fairly badly. We had to take a trip over the Remutaka Hill anyway but it is one of my favourite roads for testing out a car’s suspension, and I am afraid to say it did not fare well. Two problems arose while driving over the hill. Firstly the Niro’s lack of torque at higher revs started to show, I was having to put my foot down quite a bit between corners just to keep an ok average speed to not cause a giant tailback behind me. But even at that it was struggling to get from 60-90 with the incline in the road. This is something I did not see on the flat, I wondered if it was because the incline was too steep for the electric engine to kick in and help or maybe the computer just needed some tuning for this kind of driving. The second issue we had was the body roll in the corners. My partner usually does not feel great when driving over this hill with all the twisty corners and this was no exception. To my surprise however, my stomach started to feel a little queasy when going over the hill which I had not felt in a long time if ever, especially when I am behind the wheel anyway. I would hate to think how 2 kids in the back might have been feeling at this point if we had any. only had it fully recharged but according to the Eco driving tree I had reached Eco-warrior driving level 6. I had levelled up but I did not feel like I had gained any extra powers or abilities. 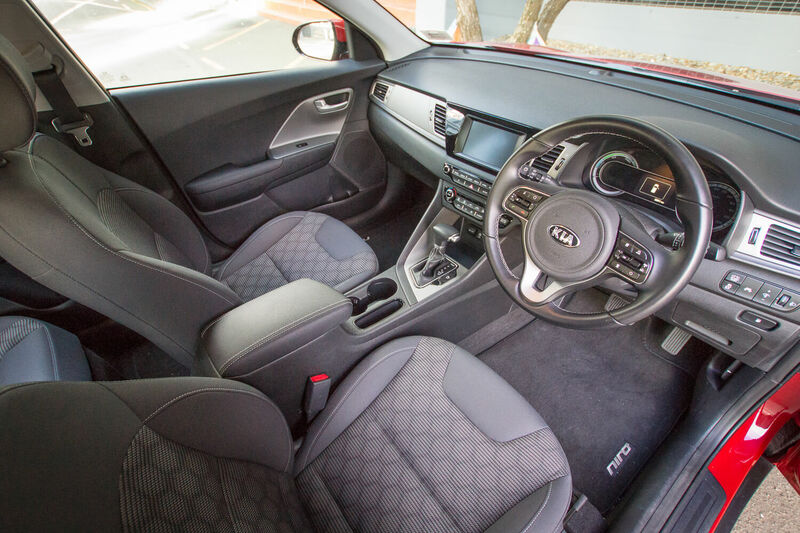 The Kia also proved great in the city giving you good visibility around you and had a small turning circle of only 10.6-meters. This was awesome when in some of Wellingtons notoriously tight multi-storey car parks. By the time I returned the car after my week of driving I check the driving style stats that show in the screen of the instrument cluster. My final score was 84% economical driving, 13% normal driving and only 3% aggressive. Which made me feel good that I had tried to embrace the eco hybrid style of driving as much as I could and was happy to see it showed in a final fuel economy figure. I managed to get 4.8L per 100km which is not as low as the advertised 3.8L but still a very good figure nonetheless. Lots of tech, would possible trade some for others. Manual adjusted rear mirror for night driving. Oversensitive auto lights. a shadow would trigger them. Gear selection always seems low. 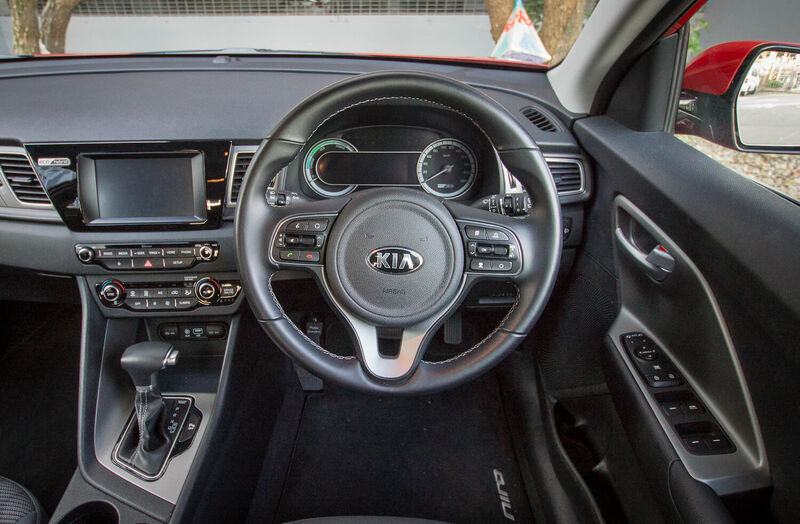 I did find the Kia Niro initially to be a bit daunting or confusing with all its buttons, but did grow to like it. Its Hybrid systems were very good at getting me low fuel economy even if I was not always driving as efficiently as I should have been. 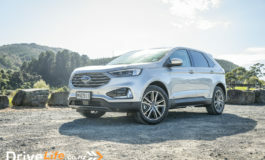 Some areas that were a bit of a let-down were boot space, ride height and it’s out of city driving, as I feel one of the main reasons people look to buy SUV’s is the height over normal cars for greater visibility. 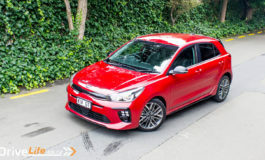 Its lack of power for hill climbing in a country known for its hills and the noticeable change from electric to petrol engines was a disappointment. This is to be expected however as most hybrids do lose their efficiency when doing long road trips. The city is where this car belongs and including its tight turning circle will make parking in tight spots a doddle.